The Korean VLBI Network (KVN) is a three-element Very Long Baseline Interferometry (VLBI) network in Korea, which is dedicated to VLBI observations at millimeter wavelengths. 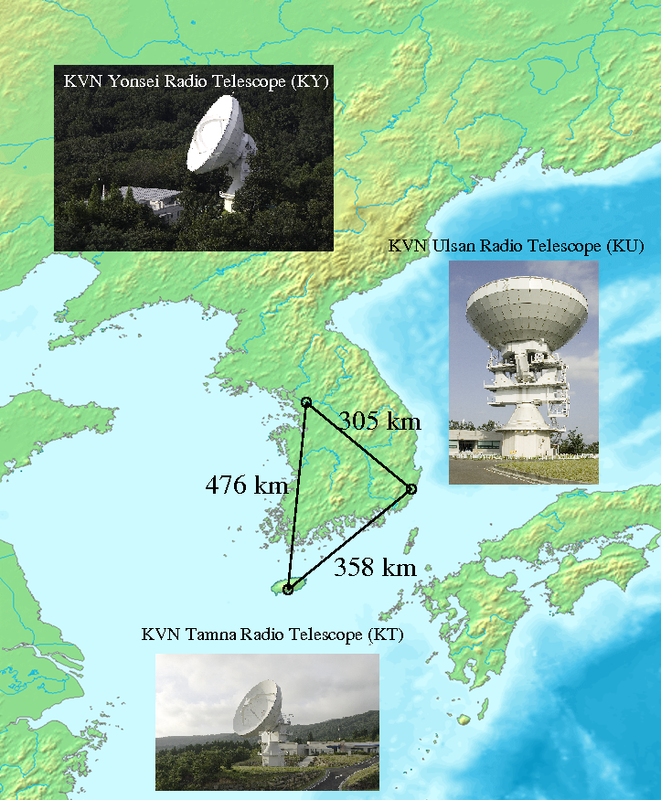 Three 21-m radio telescopes are located in Seoul, Ulsan and Jeju island, Korea; KVN Yonsei Radio Telescope (KVNYS), KVN Ulsan Radio Telescope (KVNUS), and KVN Tanma Radio Telescope (KVNTN). The baseline lengths are in a range of 305-476km. All antennas have the same design.